I feel like I need to spread the love and not horde this amazingly simple scrumptious creation. I may be jumping the seasonal ‘gun’ a bit, but this meal just says summer to me. Summer (noun) as in, “it is too hot, and I am too tired to cook”. This meal is freaking awesome! This salad is a delicious combination of complementary flavors. 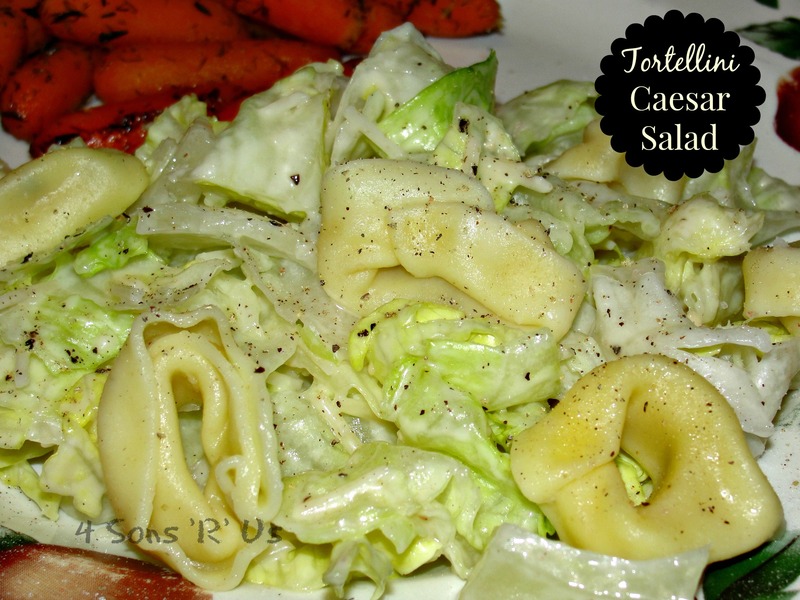 You’ll enjoy the creamy, tangy Caesar dressing in this recipe. Though calling it an actual recipe is a bit of a stretch, it’s still sure to do the trick. 1. Boil the tortellini according to the instructions on the packet. Fresh tortellini takes just a couple of minutes to cook, so make sure you don’t overcook it – you want it to be slightly al dente. Once cooked, drain the tortellini and give it a rinse under cold water. Set aside to cool fully. 2. When the tortellini is cool, add it to the remaining ingredients, and mix gently to combine. Serve immediately. 3. Note: if making this salad in advance, only add the dressing when ready to serve. Also, if serving a crowd, this meal easily doubles. I follow her blog too and have been dying to try this recipe! And so many others. I was kind of waiting for it to be warmer outside as well. Or to remember to buy tortellini! heh Love your blog! Thank you so much, Audrey! Whether you wait for it to warm up or not, this salad is great. Don’t you just hate that? When you’ve got a new recipe you’re itching to try and forget to buy an ingredient? Happens to me all the time!